Do You Fear the Number 13? Maybe it's just my imagination. Tell me from your perspective. Do your comments ever stall at number twelve? It's almost like a lot of people don't want to be the one to leave the 13th comment. When my comments reach number twelve I will often jump in to make a response at the 13th spot. I know it might sound kind of weird, but I've noticed other blogs where the comments seem to stall at number 12. Have you ever noticed this on your own blog? My wife and I enjoy action movies. Lately we've gotten into Jean Claude Van Damme movies. I've realized that I'd never seen a Van Damme film until last year when I watched JCVD. I enjoyed that film immensely. Then a while back during one of the blogfests, someone happened to mention the Universal Soldier series and got me curious. My wife and I started watching from the first movie onward and loved them. Lately we've been watching a Jean Claude movie just about every other week and have yet to find one we haven't liked. Now I'd rank Jean Claude as one of my top favorite action stars. The guy's good and his films are fun. Did you know that Jean Claude Van Damme was a serious student of ballet for five years? That explains some of his moves. I think his age has also been handled well in his recent films. I'm sure there will be many who will dispute my opinion, but if my wife enjoys a film then that's good with me. Have You Seen Spielberg's Lincoln yet? My recommendation is forget it unless you like these sorts of pretentious borefests that are of the ilk that often end up in the running for an Oscar. This is two and a half hours of time that I'd had rather spent watching a Jean Claude Van Damme movie. My wife and I both managed to stay awake for the whole thing, but the story could have been more efficiently told in a half hour documentary. This is not to say the film wasn't well acted, beautifully shot, and meticulously researched. It was all those things. But for my taste it was really boring like so many Academy Award nominees that have preceded it. If you're interested in a good film about the great Civil War president then let me recommend Abraham Lincoln: Vampire Hunter. This one is great fun and actually pretty true to history--aside from the Vampire parts of course, and, well, it could have happened. Any Interesting Plans for Summer? I've got some things coming up that I'll be writing about on my blog later. How about you? Anyone have any interesting vacation plans coming up this summer? Pick a question. Any question. They're all over this post. Even better, answer them all. Number thirteen - just a number. JCVD had an interesting premise. Not sure I have a favorite. Can I say Kate in the Underworld films? Saw Lincoln last year. Excellent film. Summer plans - a few overnight trips. I intend to do a lot of reading. And guitar practice! Extra points for answering all questions? Thirteen for me is just another number. Mind you walking under a ladder can be dangerous and as for black cats well they;re adorable. sorting out poems and writing new just in case my goal of another book materialises. My favourite action hero is Spider-man although because he's not a superhero I'm not sure if that counts or not. I've never done the whole 13th comment thing or viewed it as something bad, if 12 comments have been left nothing ever prevents me from being the next one! 13 doesn't mean anything to me either. My favorite action hero is Bruce Willis. Any role, doesn't matter. I've never gotten 12 comments, much less 13, so no, I've never noticed that. 13 doesn't bother me -- 666 kind of weirds me out though. I once waited for a cab at midnight and it was late and they told me the cab number was 666 -- I took it anyway, but didn't like it. Why would they give it that number? Thank you so much for your comments on Lincoln - both of them. I was bored to tears with the Spielberg version and was entertained by the other one. Still not sure about Jean Claude Van Damme. It's been a while since I've seen one and I don't remember liking them very much. But, since we agree on Lincoln, perhaps I should give him another try. I didn't realise that there was a 13th comment phenomena. And the only reason the number 13 means anything to me is because I was born on the 13th. The number 13 happens to be one of my very favorites, and it sure didn't hurt Kurt Warner's NFL career any. I've never seen a Claude Van Whatshisname movie and probably never will, since 'Action' movies ain't my cuppa joe. I think of 'Westerns' as a different movie category from 'Action', but if you consider them to fall under the same umbrella, then I'll say JOHN WAYNE is my favorite Action Hero. Otherwise, I simply don't have one. Not interested, really, in ANY movie about that racist, fascist, Constitution-shredding president Abraham Lincoln. Have a great weekend, LEE, my friend. Hi Arlee. Are you sure you're not imagining the No 13's significance. I'm not superstitious but I know a lot of people are afraid of the number. At the moment I'd just be happy to get 12 comments, as blogger is not putting my updates out there when I post. Grr. Anyway, I love Universal Soldier and Claude. I don't think I actually ever get that many blog comments to see if it stalls at 12, but now I'm curious. I've made a goal to finish the first draft of my novel by my birthday, August 9, so that's pretty much all I have planned so far for the summer. And a staycation in July when I'll probably get most of the work done. I actually like the number thirteen, seriously what is there to fear in a number. No problem with the number 13, which is good because on our recent trip, we were seated in row 13 both ways. Does Harrison Ford as Indian Jones count? I loved all those movies. I actually watched Abe Lincoln: Vampire Hunter recently. It wasn't my fault. My 14 year old grandson had control of the remote. Boy, I am OUT on all of these. I have never noticed my comments stalling on 12. I will pay more attention. I am personally not 13 phobic. So, I'm out. 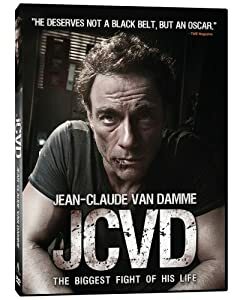 I don't think I have seen any JCVD movies. Out. I do like a good action movie. Usually, movies based on comics or superheroes tend to be up my alley. I didn't see Lincoln. I also didn't see Lincoln as the Vampire Hunter. Out and out. Chuck Norris is one of my fave action stars. Sorry Lincoln bored you but I do want to see the vampire version and buy the book. #13 doesn't really affect me. At all. There is probably no sound basis for thinking that people are afraid to leave the thirteenth comment simply because by the time you get to twelve comments you don't notice how many are there because most of them aren't on the page. If there was a programmatic mechanism that let the commentor know they were fixing to leave the thirteenth comment, then maybe. but even then you never know for sure because someone else could be trying to leave a coment close to the same time you are writing yours. Comments tend to happen in an initial burst right after publication then taper off in frequency. Sometimes there are anomalies like when the author and a commenter are using comments to carry on an extended conversation, but most of the time there is a gradual tapering off with time, both comments and the reading traffic on a blog post. I tend to be seriously superstitious, but interesting enough 13 doesn't really bother me. Not too much for action. don't think I've ever seen Jean Claude. Saw Lincoln and thought there were some interesting truths contained in the film, but in the end he still came out the hero that I don't think he really was. Not much interest to see the Vampire Hunter version. I've never noticed an issue with the number 13 and comments. I hope I don't start watching for that now. It's been a long time since I've seen it, but I don't remember thinking Universal Soldier was very good. I didn't watch any of the ones that came after, so I'd say it's a safe bet that I didn't like it. I did like some of his earlier movies, though. Alex -- Which Lincoln are your referring to as "excellent"? If it was the Spielberg version then I'll say excellent by certain standards, but not the sort of film I enjoy watching. Yvonne -- There are practical safety reasons for not walking under a ladder. Yeamie -- I'm not hindered to leave the 13th comment either. L.Diane -- I enjoy Bruce Willis films, but I'll bet Jean Claude could whip him in a fight. Thea -- 666 is always a number that gives me pause as well. Chippy -- I don't guess there was a 13th comment phenomena until I made it up for this post. StMc -- John Wayne is listed on many action hero lists, but I don't see him in the same category as the heroes of the action films of the past 30 or 40 years. Denise -- I'm just saying that sometimes I do notice a lag once I hit #12. Not that I personally put much stock in it. Sarah -- Maybe someone can do an actual study of "The 13th Comment Phenomena". It won't be me though. Hope you get a lot done this summer. Rachna -- I've heard that some people are very superstitious about the number. Personally I don't usually pay much attention. LD -- Harrison Ford definitely counts as an action hero. I enjoy his films as well. Robin-- If you do watch any JCVD films you might want to start with JCVD. I thought it had a clever concept and I liked the way Jean Claude played himself. Sheena -- Slow pretentious historical dramas tend to bore me. I'd rather watch a documentary about those sorts of things. esbb -- What you say is true primarily if the blogger has to approve comments. However on a blog such as mine you can see how many comments have been left so far because there is a number stating so. Sure it doesn't always account for people leaving a comment at the same time, but I wonder if for some people when they see that they might be leaving the 13th comment they might shy away from it. Just a bit of weird speculation. I may have been partly inspired by some of your blog posts. Faraway-- The presence of those "interesting truths" is why I would rather see the information presented in documentary form. I just had a hard time getting into that film. Andrew -- I thought Universal Soldier was hilarious and it had some decent action in it. Maybe watching so long after it was made had something to do with my perception of it. Besides, my wife loved it and all of his other films so if she's happy then I'm fine with that. Then I watch my Fellini and other artsy films during the weekdays when she doesn't stay up to watch movies. It works out well. Have you seen Blood Sport, that is my very favourite JCVD movie. I have seen that several times. I'm the same, don't think I have ever had 12 comments anyway. I am not away til September and even then I tend to blog. Maybe not this year, we shall see. Our favorite action hero is Bruce Willis. He is short on common sense, but keeps plugging. I agree with you about "Lincoln". The book was great, but the Spielberg take was not. I've never been superstitious (I have 4 darling black cats and could care less where the ladder is if I need to work on something underneath it) so the number 13 isn't a big deal to me and I've had comments include #13 and beyond. I've enjoyed the JCVD movies I've seen. Although I enjoy history, I had no interest in seeing Lincoln. My husband (who also loves history) said the film was well done. Haven't read Lincoln Vampire--sounds interesting though. Like to see how they handle it. Looks like we're staying home this summer since our government, in it's questionable wisdom, has decided to solve the budgeting issues by taking 20% off each of hub's paychecks for the next 11 weeks. Yay. We will be looking for places close by to go fishing or maybe do an overnight camp out. We'll see. Haven't seen any of the Lincoln films and probably won't. I have so many mini vacations plans for the next year I need a planner just for them. Love his action movies. I think it's Time Cop where he does the splits between two kitchen counters...oh my...having trained some in ballet for my gymnastics, I know what that takes. Haven't seen Lincoln, nor do I intend to. I hate pretentious "we're going to give you an Oscar because your movie seems like the kind of movie we ought to give an Oscar to" movies. Nope, I don't have a problem with the number thirteen, and haven't noticed any slow-down in comments corresponding to the number thirteen, either. Like an earlier commenter said, my birthday falls on the 13th, too, so I've always thought of it as my lucky number. I found Lincoln a bit of a bore to tell the truth. And I'd never hesitate to leave the 13th comment. Dare I admit I've never seen a Jean Claude movie? Maybe it's time. Jo -- Bloodsport is still on to to-be-seen list. Susan - I can see where the Lincoln story would make for good book material. Sia -- Governments are good are extracting the fun out of life. Susan GK -- Mini vacations are quite nice. Tina -- Yeah, the split in TimeCop. And that's Van Damme doing that stunt. Susan FS-- There are always a few Oscar nominees that seem to be there for the pretentiousness. Patricia -- My wife would say to watch Jean Claude. She loves his films. 13 has never bothered us in our house - my son wore 13 for several teams he played for :) I'm going to be checking my comment #s now though! No, I don't fear the # 13. Spielberg owes me an undisclosed amount of compensation for the wasted two and half hours of the most boring movie I think I have seen in a long, long time. Was driving to NC but those plans changed, so now have to reboot and come up with another interesting vacation plan. Jemi -- 13 doesn't bother me, but I couldn't help notice the stall at the 13th comment that sometimes happens. Gregg-- A trip to NC would have been very nice. We had a similar trip scheduled that is on hold for now. I don't fear #13 because I don't ever get 13 comments on a post. I liked JCVD movies as well. My favorites are probably Nowhere to Run and Hard Target. I think I liked Hard Target because of John Woo though. They slow motion action shots were awesome.